On a Chicago River architectural boat tour I had taken a number of photographs. 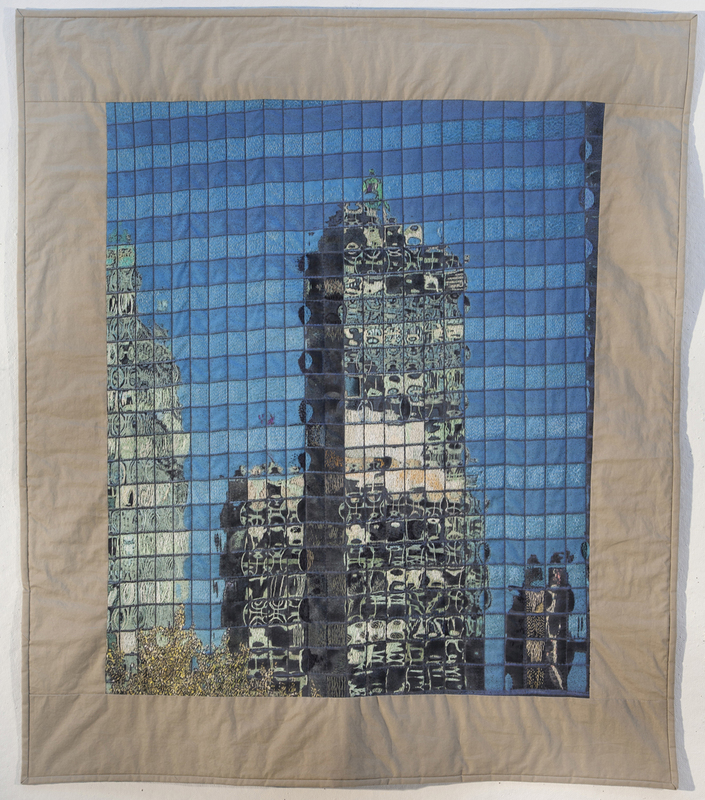 The photo that comprises this quilt is a fragment of the curved glass façade of 333 Wacker Drive which faces the river and mirrors the sky and distorts the buildings across from it. With its grid of windows, the structure of the skyscraper suggests a quilt with each window forming many little abstract paintings. 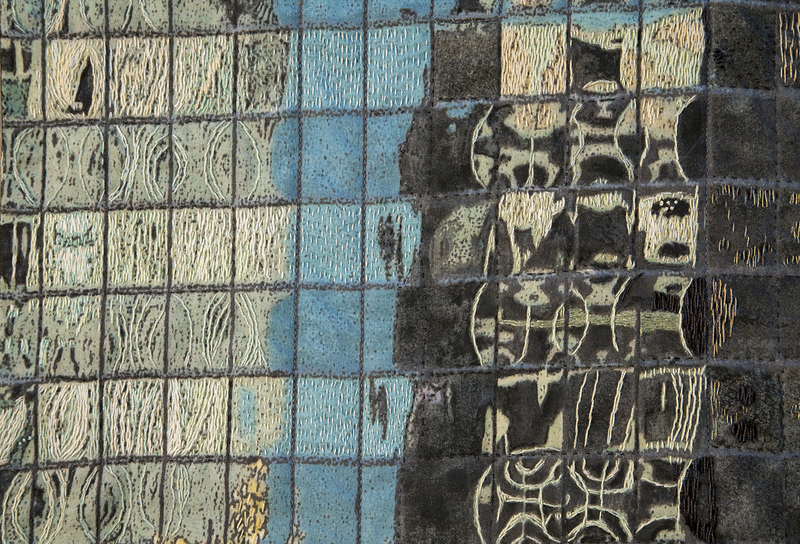 This image was printed by Spoonflower on their Kona® Cotton. I further augmented it with fabric paint and proceeded to hand embroider, then quilt by machine and hand.